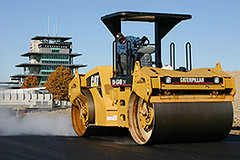 Grady Brothers, Inc. is an Asphalt Paving firm whose operations began in 1932. 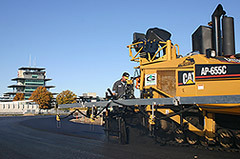 Throughout the years, Grady Brothers, Inc. has demonstrated its ability to construct and complete asphalt paving on environmental areas, recreational, transportation, commercial, industrial and residential areas. 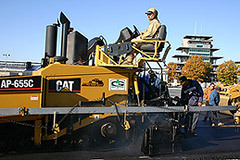 Grady Brothers, Inc has the latest computerized and technical machinery and equipment for use in its asphalt construction. 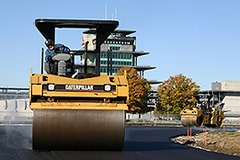 The company is also utilizing its ability to recycle old asphalt pavements through its asphalt plant when producing asphalt mixes. This recycle process aids in the conservation of aggregates and liquid asphalt material and is a cost saving factor for its many customers. Grady Brothers, Inc. greatest asset is its key personnel, whose average longevity with the company is 24 years. These people demonstrate the company's pride and dedication, and excel in quality workmanship, accurate estimating, and on time delivery and completion of projects.